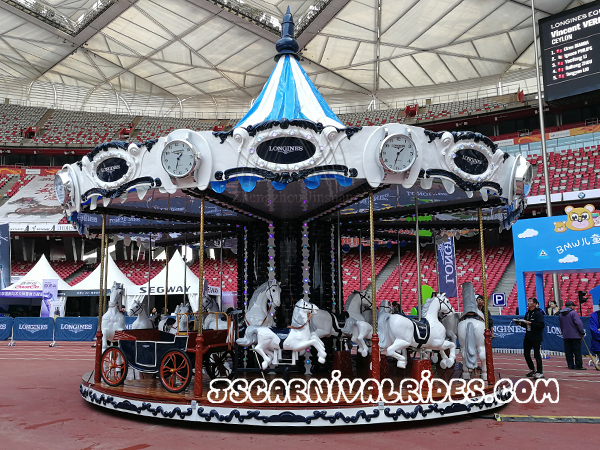 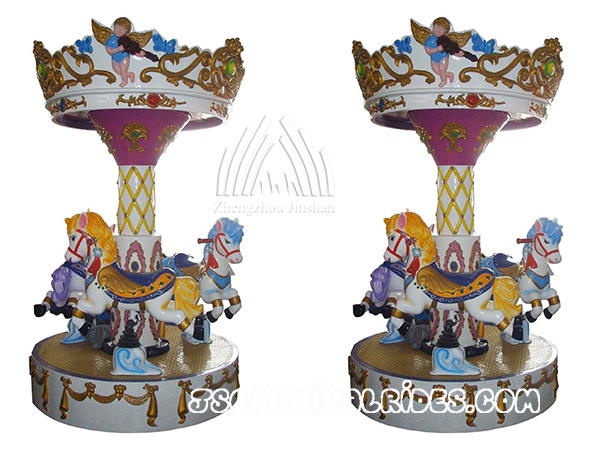 Children’s Merry Go Round is an amusement ride consisting of a rotating circular platform with horse-shaped seats for riders. 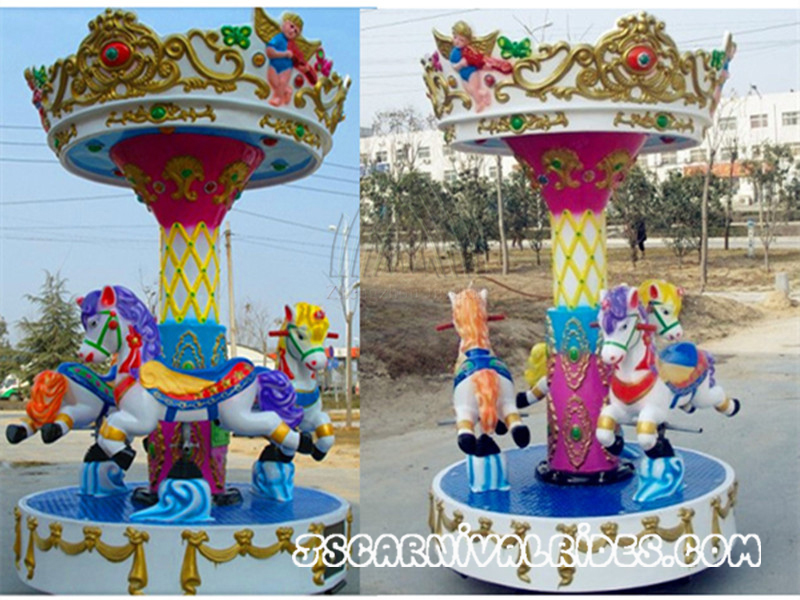 The horses connected with the turntable will go up and down gradually along with its rotates and wonderful music. 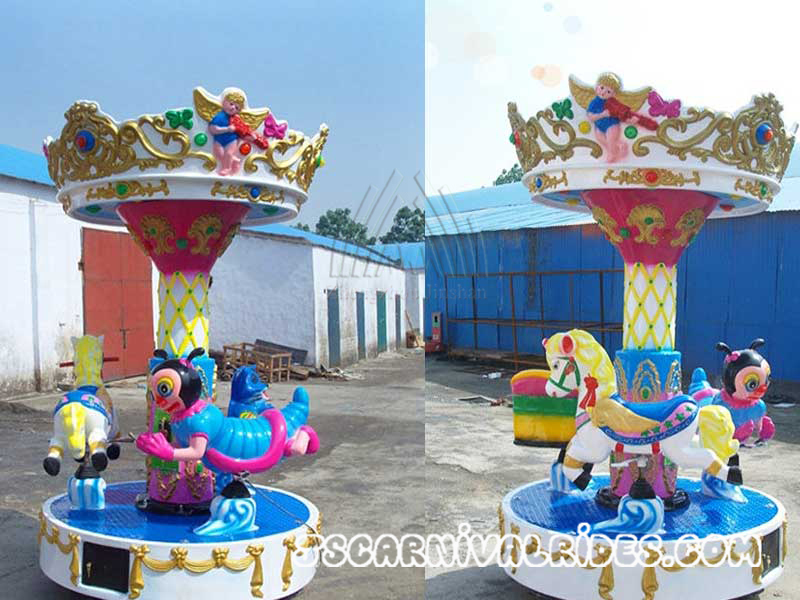 It is widely used in playground, square, park, kindergarten, building area, etc. 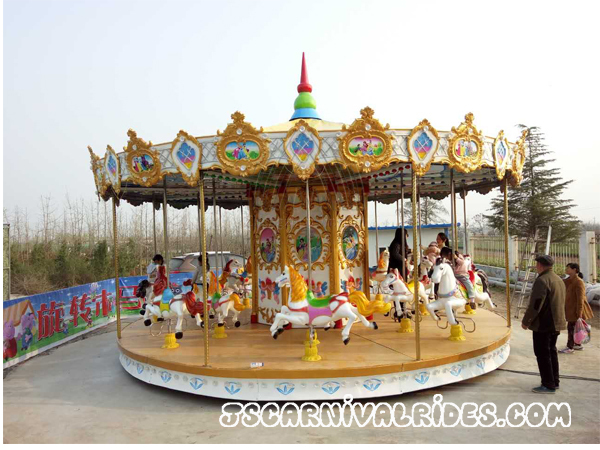 Merry go round also called carousel ride, which is a traditional amusement ride suit for all tourists without age limit. 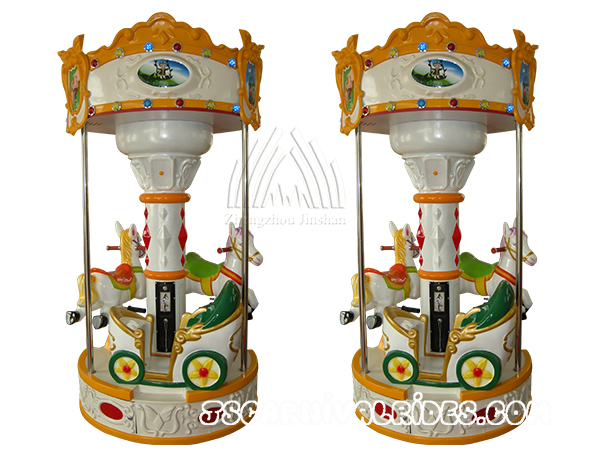 Children’s Merry Go Round is a type of small size carousel suit for children to play. 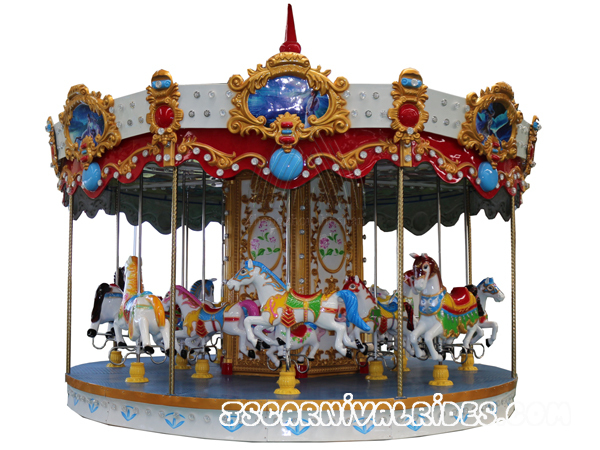 Movement of going up and down with festive music bring players a lot of cheer.